Most commentators regarded this ‘folie de grandeur’ as foolish and ill considered. In fact, it was an act of staggering – and expensive – stupidity. There are countless better ways to spend taxpayer money, such as the NHS, or education. Another fact that may surprise the Cardboard Cassandra’s in the media is that Brexit negotiations are not heralding the Apocalypse (at least not yet). The Residential Market has responded in a benign and in some cases, positive manner. Sterling is lower when compared to other currencies, making the UK look attractive to foreign buyers, particularly of late. While nobody is going to feel sorry for the Russian oligarch who’s had to reduce the selling price of his Belgravia mansion by a few million quid, the wider effects on the UK economy are becoming obvious. Let me explain. The Residential Property Market, retail spending and the growth of the economy are inextricably linked. It has been forever thus – when consumers feel that their properties are appreciating, they are inclined to spend more. This is one of the main drivers of our economic growth. 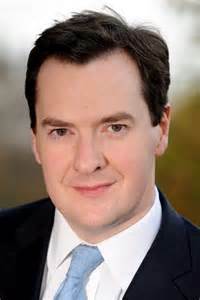 Unfortunately, Osborne’s clumsy meddling means that we are experiencing the obverse of that scenario. According to the OBR (Office for Budget Responsibility) just about every type of retail sales are down last year, although this is true, the government is pointing accusingly at the blame all Brexit issue, which is absolute nonsense and very convenient. The Property Market and UK growth have been connected since time immemorial. This is not the case, though, for other European countries, such as France or Germany. The post-Brexit era means that the Residential Property Market must stimulate spending and feed through to growth, since the propulsive effects of Quantitative Easing and cheap money have disappeared from the economy. There’s also less tax revenue thanks to the Stamp Duty rises and a generally flagging property industry. Unless something is done to rectify the problem, we are going to be in a parlous state and how unfortunate is this in the post Brexit era? Lest we forget, residential property is an alternative asset class and a rich source of wealth to the many socio-demographic groups. As inflation increases, debt shrinks, leaving asset owners with more wherewithal. In fact, the usual adage of ‘the rich get richer and the poor get poorer’ is not necessarily true, since asset owners are getting richer in all sectors and ‘non-asset owners’ i.e. tenants, are getting poorer. When the tide comes in, it lifts boats of all sizes. The property market is still trading reasonably well up to £500,000 greatly assisted by the government backed scheme, Help-to-Buy. However, it is a truth universally acknowledged that a third of the Stamp Duty receipts are paid on properties over £1million, despite the fact that they account for just 2% of transactions. It looks likely that the Brexit issue may well be resolved in the next month or so and Chancellor Hammond has declared that he is going to announce a top-up Budget in April or May. He would be foolish, in the extreme, if he didn’t revisit the Stamp Duty escalator as matter of urgency, since we cannot continue to pay an unaffordable price for the previous Tory administration’s folly. Osborne has placed a tourniquet around the neck of the ‘Golden Goose’ so is it any surprise that there are less ‘golden eggs’ for us to harvest? … duh! This entry was posted in Economical / Financial World and tagged brexit, budget, George Osborne, osborne, property, stam pudy, uk. Bookmark the permalink.